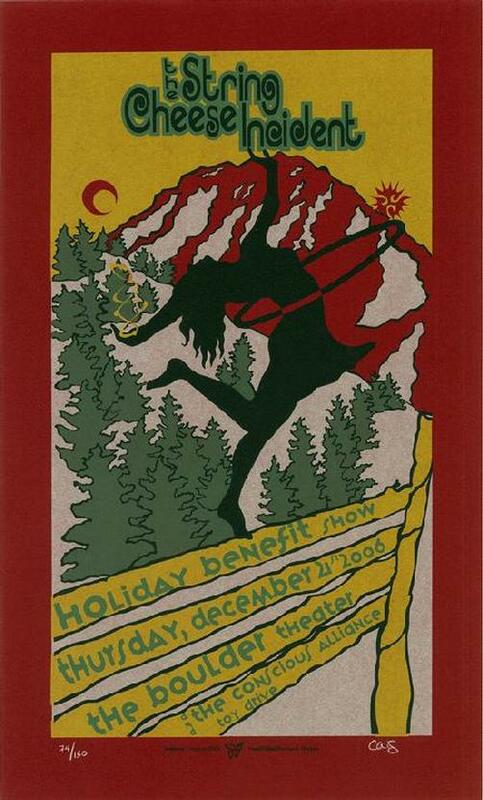 Original silkscreen concert poster for String Cheese Incident benefit in Boulder, CO in 2006. 10 x 16.5 inches on card stock. Art by Jambone Creative. Signed and numbered limited edition of only 130.